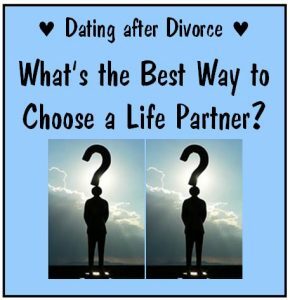 Are you dating after divorce and ready to learn about choosing the right partner? 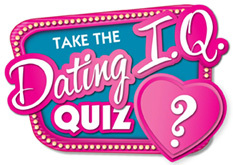 For newly single women, this can be the hardest thing to figure out – how to qualify the men you date. OK, you got through your divorce, took time to heal and now you feel ready to date. Yeah! Your first step is to find out what works with modern dating. The last thing you need is to repeat past mistakes or start making new ones. This time around you want a man who meets your needs. You seek a keeper who will have your back and make life more enjoyable. I’m with you! That’s what any woman wants in a relationship after divorce. When it comes to choosing a life partner, I recommend taking time to really think about what you want. As you meet men, you’ll discover things you do not want and there are likely qualities from your ex you want to avoid as well. This is good! This is about discernment which is a smart way to be picky or “SELECTIVE”. On the other hand, meeting new types of men is also a smart strategy. Being open to people who are not your “type” is a great way to find men with qualities you have not encountered before – qualities you WANT in a man but hadn’t found until this point. Seek a balance between being open and being picky. Too much on either side will not serve you. For example, if you are too picky, you narrow the field and will not meet enough men to find a good match. On the other hand, if you are not selective enough, you’ll be dating men who do not meet your needs or treat you well. This is why STRIKING A BALANCE IS ESSENTIAL FOR YOUR DATING SUCCESS. 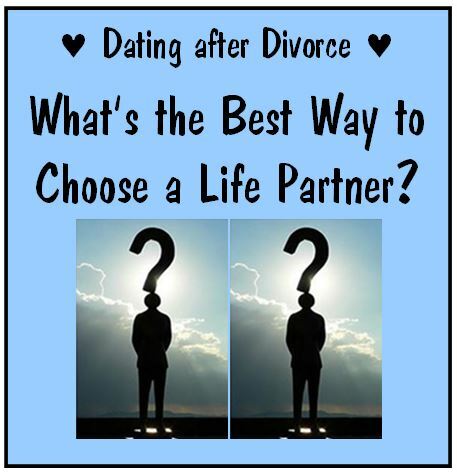 If you are new to dating after divorce, think about the qualities you want in a life partner. When a man starts to show interest, that is not enough of a predictor to know he could be “The One”. Does he ask you out consistently and call weekly? Does he make an effort to get to know you or just talk about himself? Is everything on his terms or does he ask your preferences and try to please you? Often women new to dating want to “See Where Things Go” with this one guy who is texting or calling. Honestly, this is A RECIPE FOR HEARTBREAK AND DISASTER. If you want to see where things will go, that’s fine but keep dating other men until you date him for many weeks and qualify him as a potential life partner. It takes 8 – 10 weeks and sometimes more to know if a man truly has that potential. To prevent premature attachment which is so common, you need to continue meeting and dating other men. This helps you remain objective and detached so you don’t fall in love before you know a man has the qualities you seek. If you get attached or fall in love after a few phone calls, a week of texting or 1-3 dates, you know I’m talking to you. Naturally you might get your hopes up, but holding a “wait and see” attitude will protect you from falling in love before you know more. Give yourself this chance to stay objective and really get to know men before you close off other options and get emotionally invested. Whether you are dating after divorce, took a long break to raise kids or focused on your career, learning about understanding men is another essential dating strategy. Don’t take men at face value or rely solely on what they say to you. Often men say what they know you want to hear, but don’t make time to see you, or only want to text or talk on the phone. If a man doesn’t ask you out on weekly dates, he’s either not genuinely interested, dating several others, or dating and love are not a priority. Case closed. There are quite a few men who prefer the fantasy of a virtual relationship than the expectations (and joy) that come with true love and a lasting relationship. On my blog, women ask me painful questions about situations like these all the time. They want to know what it means when a man wants to puts off meeting, is too busy to see you, won’t take down his profile, or why he seemed so into you and then disappeared quickly. In every one of these situations, the man is letting you know you are not the one or love is not his priority. This is why Strategy #2 of Remaining Objective as long as possible is vitally important if you are dating after divorce. There are so many resources including my blog to help you understand how men think. I have created a method of radically simplifying understanding men to help my dating coaching clients and readers. But there are others who specialize in explaining the ways of men and what they mean. Your job is to read and educate yourself rather than simply depending on what you and your girlfriends THINK. Learn from those who REALLY KNOW ABOUT MEN. That’s my best piece of dating advice after divorce. Obviously, there is more to finding a good match and a compatible life partner, but these three fundamental strategies will put you on the path to finding the right man. While you may think you have the skills for dating and finding love, for most women that is not the case. That’s why dating seems too difficult to so many. Invest in love and yourself to find love faster. No school teaches anything about dating or relationship success. It’s not part of the curriculum or even part of higher learning. So it’s not surprising countless single midlife women you feel confused and frustrated. I can help. Schedule your Dating Discovery Session – a free 30-minute phone/Skype session to discuss your love life and how dating coaching can help. Dating a Separated Man: How Long Should You Be Patient? Dating Over 40: Is Your Ambivalence about Love Holding You Back?